Hi Frugalistas! Regular readers will know that I love having a luxurious experience that doesn’t break the bank when I travel. I believe that regardless of your travel budget you can have a first class experience. It’s all about deciding on your budget, and then finding the absolute best version of your treat or experience you can find. A recent trip to Paris provided ample opportunity to test my theory. And I found plenty of options. 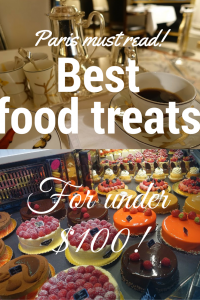 Here are four budget Paris food treats under $100, that I promise will be a wonderful food experience regardless of your budget. 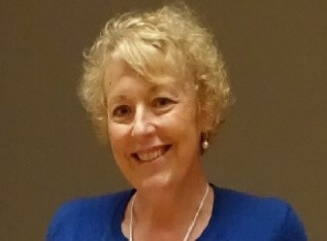 (This post is updated on 5 April 2019). 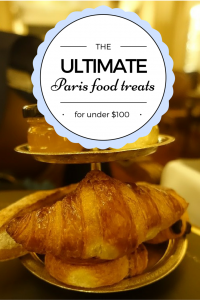 Unless you’re in Paris on the last day of your trip, I would imagine anyone who visits Paris can afford my ultra budget Paris food treat. My choice? Head to one of the high end patisseries. Think Ladurée, Fauchon, Le Notre or for the Rolls Royce of macarons, Pierre Hermé. A single macaron (and they will sell you a single macaron) will set you back a couple of Euro. Little cakes or tarts are closer to around €5. Even if you savour yours sitting on a park bench with a bottle of water you bought at a supermarket, you too can enjoy the absolute best of the best pastry Paris has to offer. For my second budget Paris food treat I’m heading into the luxury 5 star hotel land. Yes. The Georges V, the Plaza Athenée, Le Meurice or even the Ritz Hotel Paris and the Crillon. All $1000+ a night hotels. But yes, within your budget. I’m the first to admit your choices are a little limited. But head to the bar, or ask for directions for where you can order a coffee/hot chocolate/glass of wine (or whatever your choice). I would suggest you avoid the cocktails or champagne, as that is likely to put you over your budget. This will probably be the most expensive coffee or hot chocolate you will ever buy. But think of it this way. You can sit in the bar or lounge for as long as you like. You can wander around like you own the place: try out the loo (they have heated seats at the Meurice by the way and at the Ritz the hand basins sport gold swan head tapwear). For an hour or so, you too can pretend to be part of the super rich. 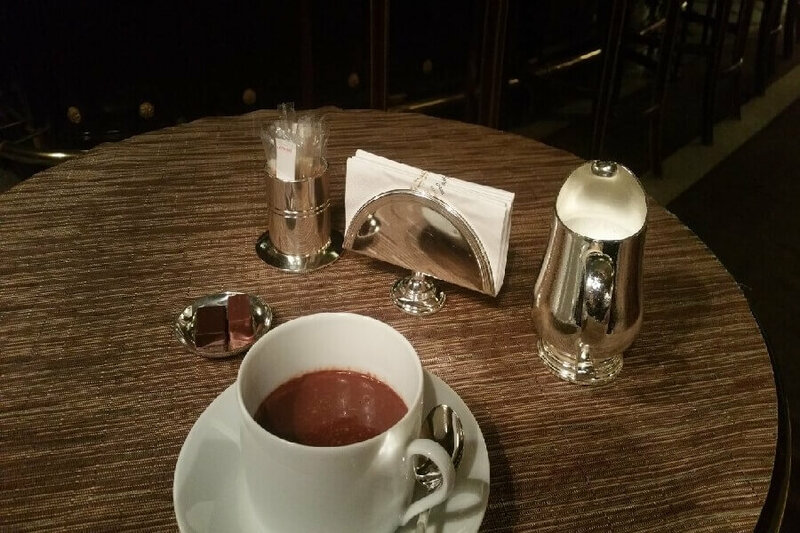 I went to Le Meurice for a hot chocolate. At an eye watering €14, it was probably the most expensive hot chocolate in Paris. But what an experience! Served in a bar that was decorated like a gentleman’s club. Ultra polite, ultra handsome young waiters. My hot chocolate was basically bitter melted chocolate that I was then able to blend with the accompanying frothed milk and sugar to my taste. Going in the mid afternoon the bar was less than half full. A Chinese family, a young Australian couple, and two tables of young French women. We were all doing the same. Spending a small amount of money on an experience in a very superior 5 star classically Parisian hotel. And yes, we all lingered. No one was in a rush to move us on. From what I could see, we all received excellent service. And I’m sure we all had a fun time. I know I did. It is possible to eat a first class Paris meal for under $50. I’ve done it. And I’m sharing my secret with you. You go to Angelina’s in the rue Royale. The same Angelina’s that people will queue out the door waiting for afternoon tea. But you don’t go for lunch. You don’t go for afternoon tea. You go to Angelina’s for breakfast. Go early, during the week, and you don’t even need a booking. Bookings are easily made on their English language website, if you feel you should. The “full” Angelina’s breakfast will set you back €29, although more economical options are available. 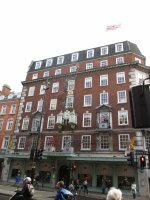 For your €29 you will get exemplary, smiling service from a pretty young waitress – all dressed in classic black with a white apron. You will also get juice, fruit salad (very delicious by the way), patisseries and a mini baguette, served with butter, jam and Angelina’s own honey. And then your choice of eggs. The only downside? They do charge extra for a refill on your tea or coffee. But it is utterly delicious, and a fun thing to do in a beautiful, traditional Paris tea room. That you don’t need to queue for. My ultimate budget Paris food treat needs to be special. And it is. I’m going for afternoon tea – at Le Meurice. When I went for my hot chocolate I saw they also had afternoon tea. I saw that it was only €46 (or €60 with a glass of champagne.) So I made a booking, and off I went. Yes, that is gold leaf on the éclair. What else did you expect? A three tiered cake stand of sandwiches, scones, cakes and tarts. All served with a glass of champagne and the heaviest silver pot of coffee. It was luxe, the food was utterly delicious, and the serve was so generous, I could barely eat it all. But I did soldier on (in the name of research of course). But of course, at €60 I want more than just the food. I want the experience. I wanted, and got, the brilliant service, from those same handsome, polite young waiters. I wanted, and was offered, a copy of the latest edition of Paris Vogue, seeing I was on my own. 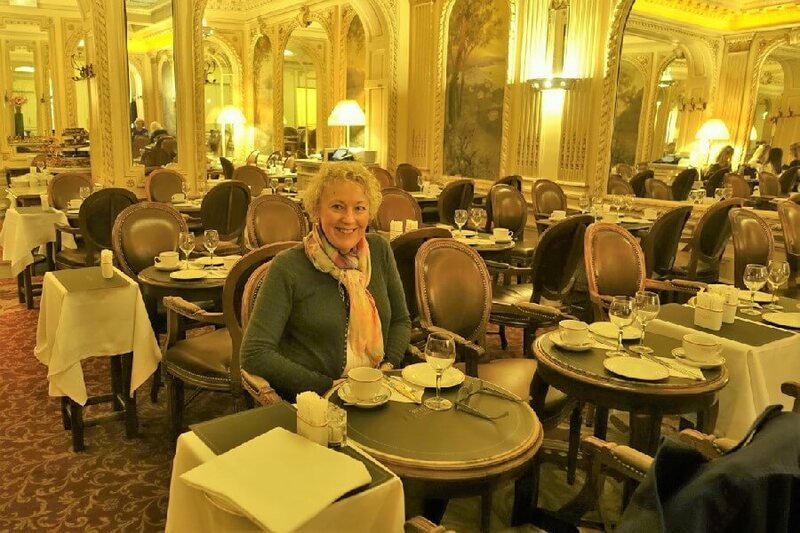 I wanted, and saw, that my fellow diners were all Paris ladies taking tea, immaculately dressed business people doing deals and young French girls giggling over their champagne and scones. What I didn’t know I wanted, till it happened, was a young patissière (pastry chef), come from the kitchen with a steaming hot, freshly baked tray of madeleines. I didn’t know that I would be made to feel like a queen. 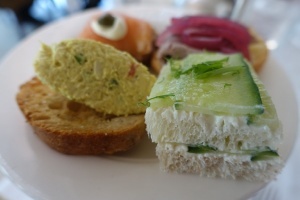 I didn’t know that I would enjoy it so much that I would need to write a dedicated post on it – you can read my review of Le Meurice afternoon tea here. 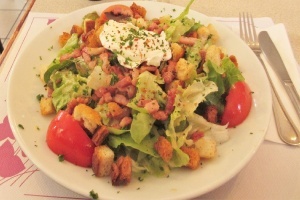 Budgeting for your Paris food treat is not difficult. Don’t buy the tatty souvenirs. You really don’t need an Eiffel Tower key ring or statue. Buy the macaron from Pierre Hermé instead. Don’t visit some museum you aren’t interested in. Have coffee or hot chocolate in a sublime location instead. Don’t eat ordinary food at extraordinary prices in tourist restaurants. Have your breakfast at Angelina’s instead and then grab a baguette for lunch. And most controversially, don’t bother with the Moulin Rouge. 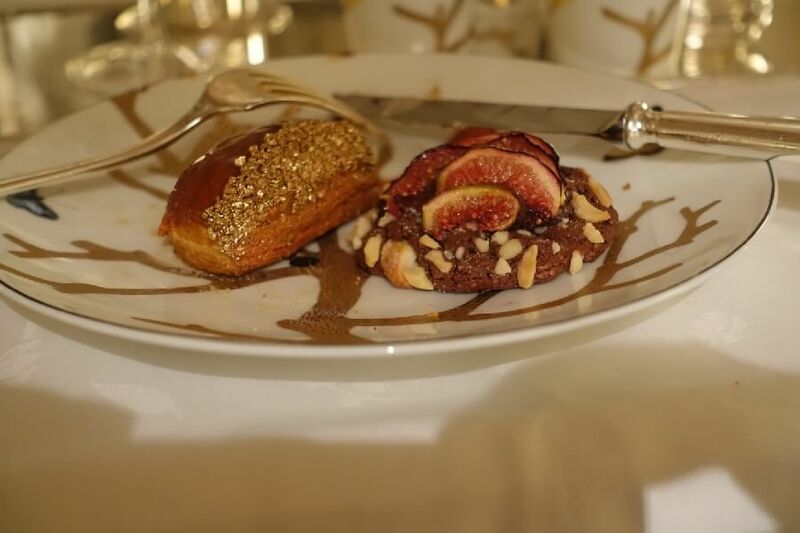 I promise it is cheaper and a more authentic experience at afternoon tea at Le Meurice (and you won’t need dinner afterwards). Affording a first class budget food treat in Paris is a choice. You can choose to buy “stuff”. 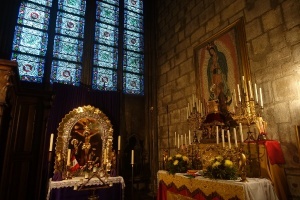 You can choose to bury yourself in the tourist’s Paris. Or you can join me and other savvy frugalistas in a glass of champagne at Le Meurice. I know what choice I’ll be making. How about joining me? 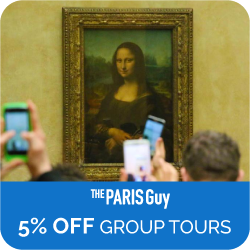 If you prefer a guided tour food experience, I recommend The Paris Guy for quality, small group tours (and don’t forget to use FRUGALFIRST5 for your 5% discount). 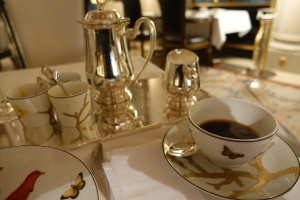 Is the best afternoon tea in Paris at Le Meurice? I love how you show that Paris has options for every budget. Some travelers think of the City of Lights as too expensive and they don’t give themselves a chance to experience it fully. Last time I was in Paris I was very cash strapped and I really indulged in the patisserie experience. Thank you for reminding us that French capital is for everyone. I have to agree, Angelina’s is a definite must! 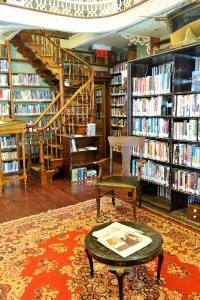 Their chocolate chaud is delicious and the tea room is gorgeous. 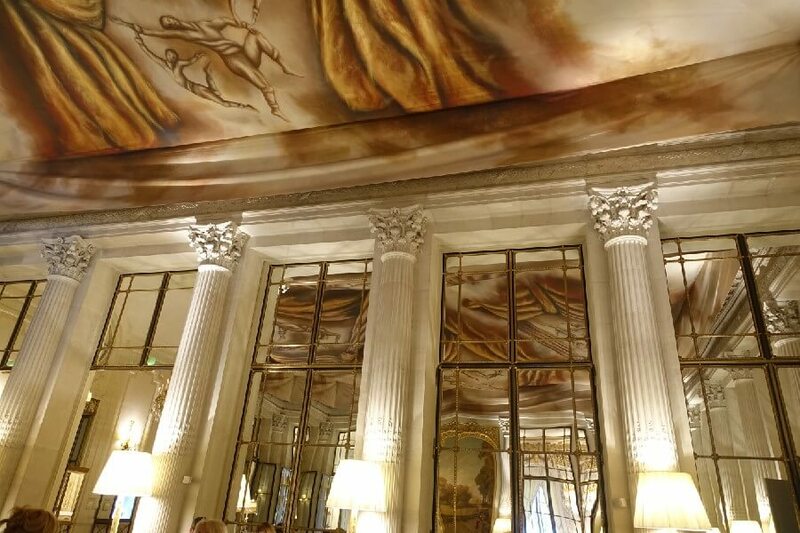 The Meurice looks amazing! I would love to eat there haha! Just the ambiance would be worth the bill! If you have afternoon tea, it’s not so bad Joe! Book marking these tips and sending to my mum as we’ll be in Paris next year! Great tips, the hot chocolate sounds devine!! 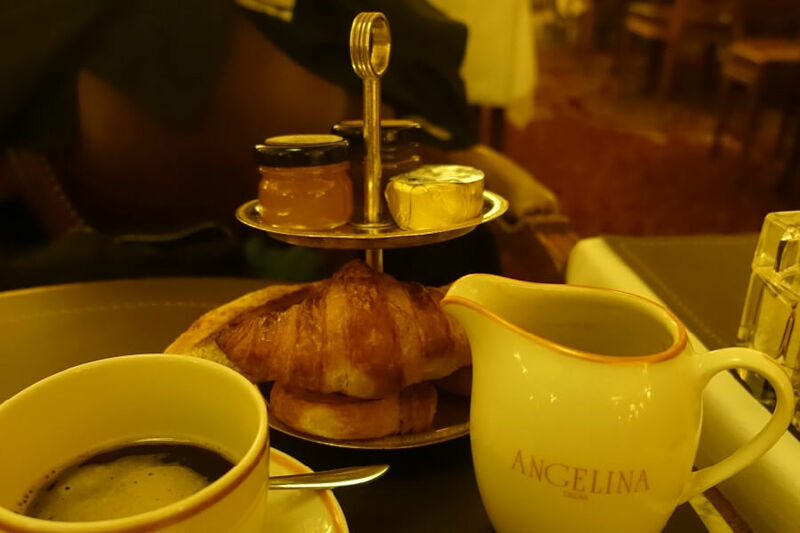 The hot chocolate was great – Angelina’s just down the street also does a mean hot chocolate, and while it’s not cheap, it’s cheaper than the Meurice! This reminds me of my Paris Trip last year. 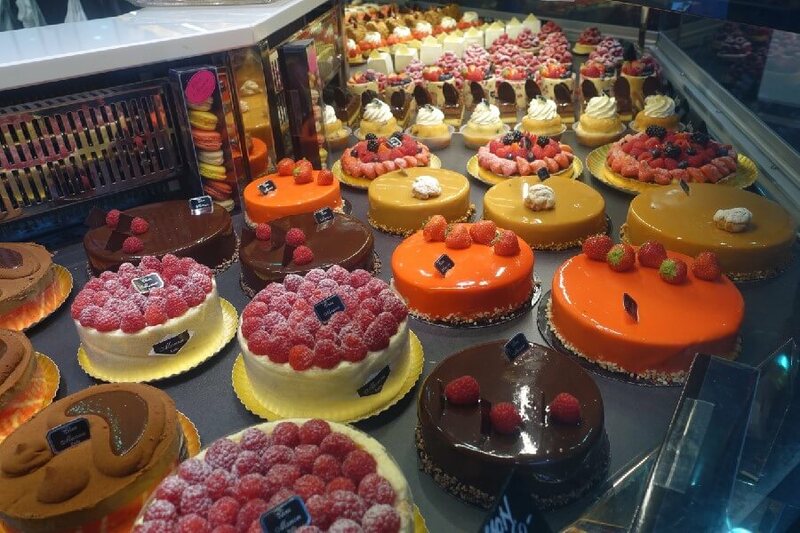 I stayed in the Le Marais area, some of the patisseries were out of this world. Every morning while walking past I had to stop and take a look in side, the smell, the taste, the display in the colourful vibrant setting is very much an experience of its own. That’s the thing Michela – it’s the experience isn’t it?